elebrate National Poetry Month at the library! 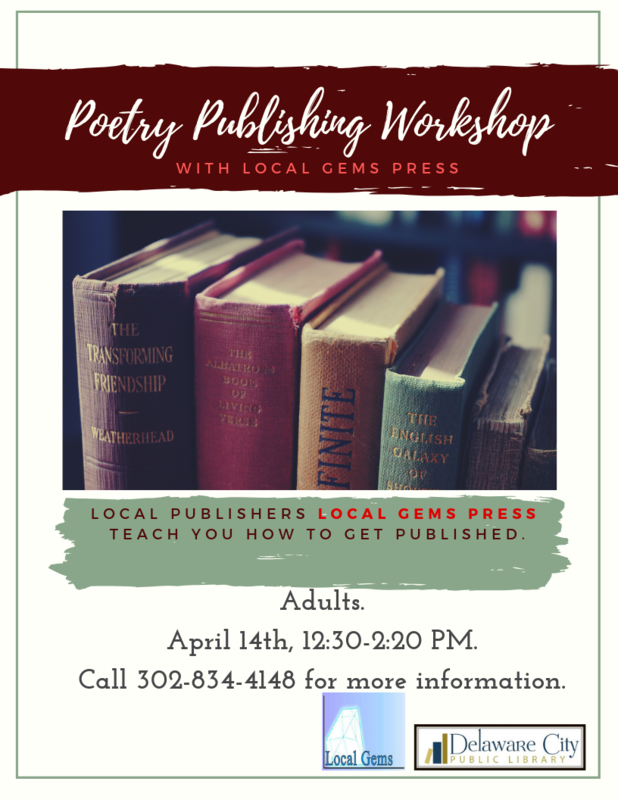 Members of Local Gems Press teach us how to get published, followed by a Q&A session. Get tips from the experts! This program is open to adults. Call 302-834-4148 for more information.